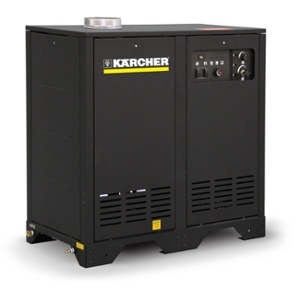 Kärcher Series oil-fired skids are the workhorses of the pressure washer industry. For indoor cleaning with hot water, our Liberty Series natural gas and propane gas models are ideal. Featuring an industrial-grade axial pump, an efficient burner, low water protection, and more! See the entire Karcher line-up. Units are completely factory assembled, tested in the U.S.A., and delivered ready to operate.